I’ll start off the continued coverage of Nisei with a shot of this minty fresh BB4. As usual, the bay of this car was immaculate. Mike shows his dislike for knock off parts with a bit of promo cards, and stickers scattered throughout the bay. Click the break for continued coverage. I like more functional looking cars, and this EG was a good example. Pretty unique CP’s too. I like the orange accent. This matte black Evo’s engine bay housed almost every available ARC product in the catalog. Nice build, and great wheel choice. 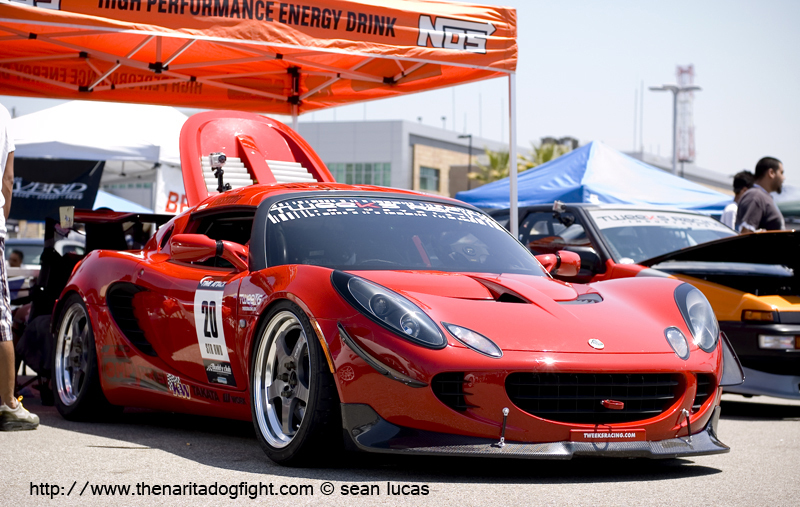 This mild mannered looking FD was hiding a pretty viscous secret in the bay. 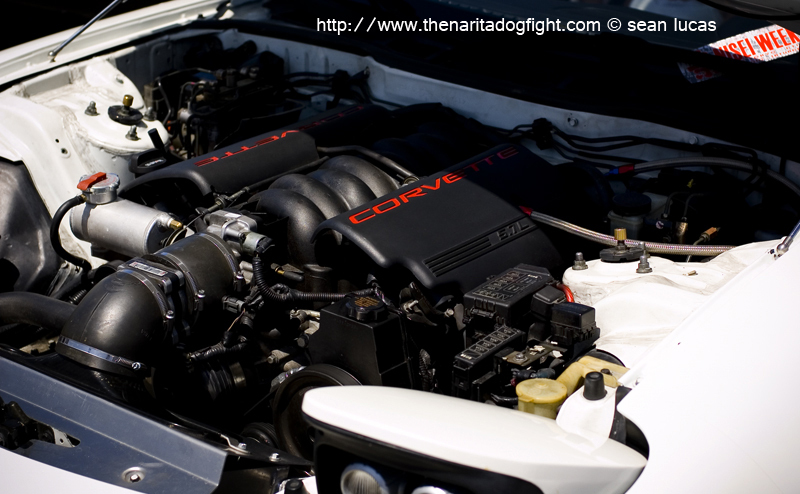 A 5.7 liter LS1 from a C5! I talked to the owner and he mentioned it took about 6 months to complete with a couple parts taken from other cars, and a few custom made ones. 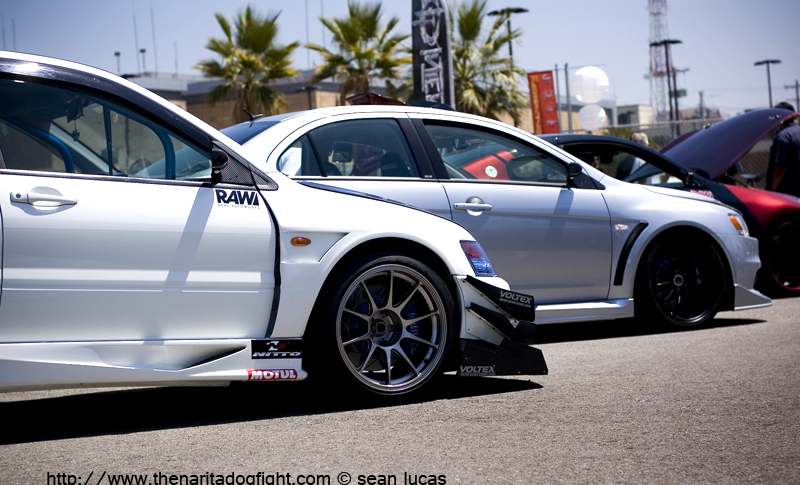 Another favorite of mine was this white Evo. 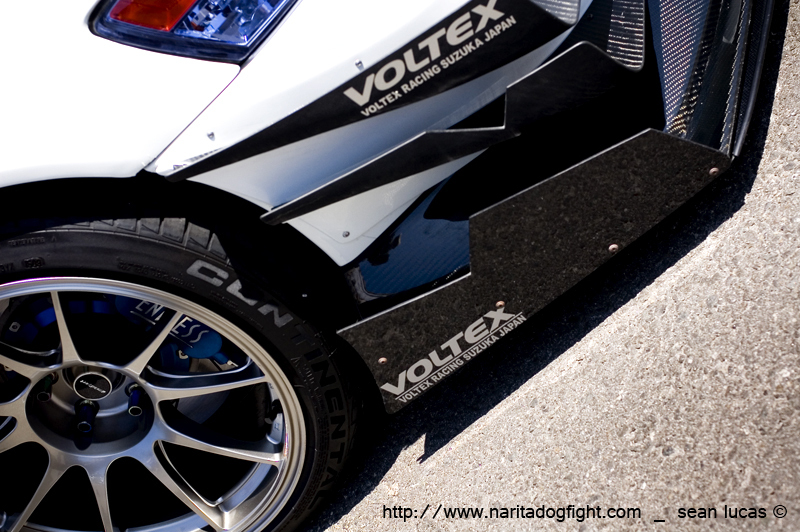 I love the aggressive look of the Voltex canards. There were actually two of these 600’s at the show. This one was in much better condition than the other however. Taking it back to Honda’s roots. Here is the other one that was at the show. Cool idea for the manifold. Reminds me a little of the bosozoku style rides, and the oil coolers on the outside of the bay. I haven’t seen many of these on the road at all, let alone modified. This Volkswagon CC was one of the more random cars I saw there, but very clean nonetheless. It looks comfortable. This Lexus was a little stealthy. The grey paint and purple wheels went great together. I wanted to get a full shot of this car, but couldn’t manage it the way it was parked with the 50mm. One of the guys I was with spotted this on our way out, so we went to take a closer look. 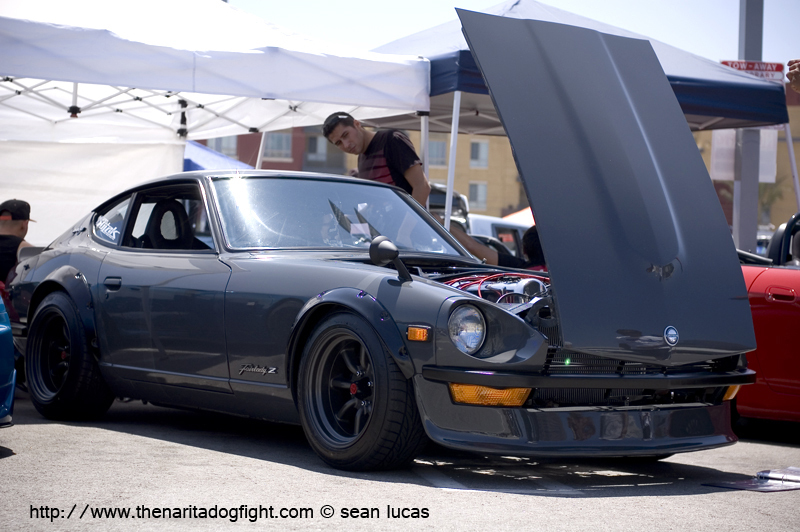 This 250z was powered by a RB25, and was amazingly clean. Another old schooler. This Fairlady reminded me of the one in the Japanese manga ‘Wangan Midnight’. There were a few MKIII’s on hand to show for the Toyota fans. I think there were three parked next to each other, and they were all pretty nice. 1320 came out from Stockton with some great stuff. It seemed every part on this Integra was changed. 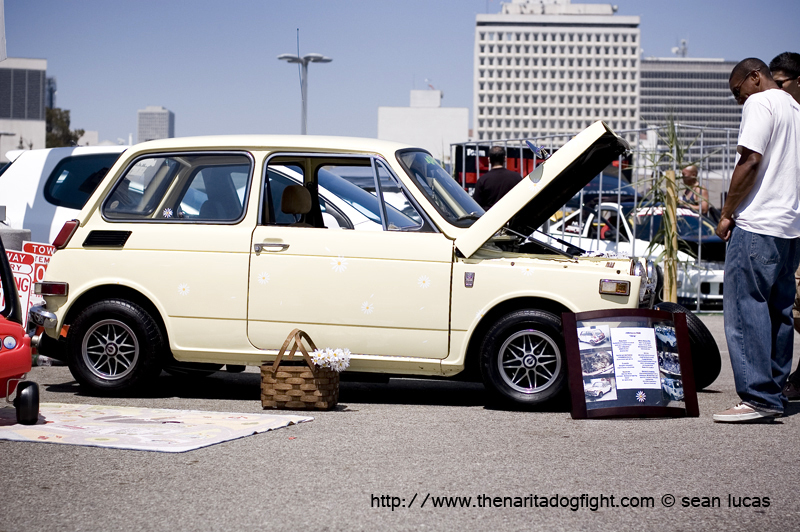 This Ferio had a Domani front end, and a turbocharged H.
There were a few ladies walking around modeling with the cars to keep all the male testosterone in check. 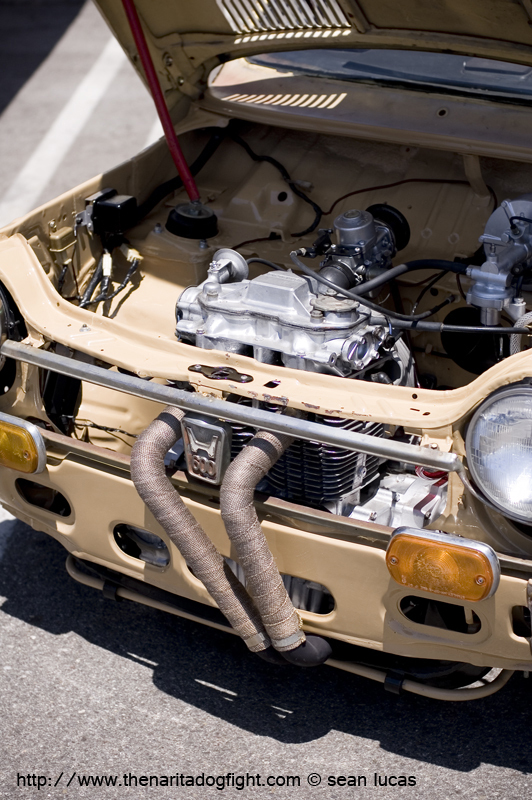 This K-powered EG had a crazy looking valve cover. Some fancy sketching. I enjoy the tastefully built cars the most. Sometimes more isn’t always better. As it is with this S2000. ‘K’ was the letter of the day for Honda’s. This coupe was no exception. That’s it from LA. 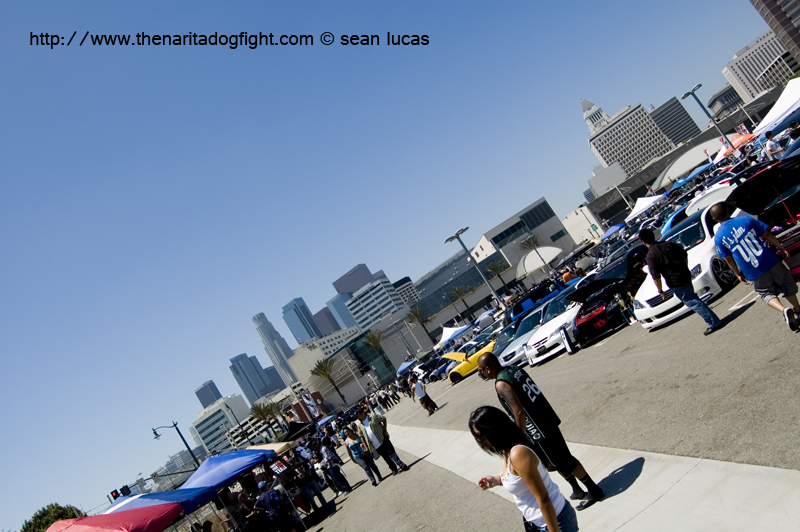 Hope you enjoyed Nisei Showoff! I guessed correctly on the LS1 in the mazduhhh. The old lady that used to live next door to Berk in Visalia drove a 600. I always wanted it. 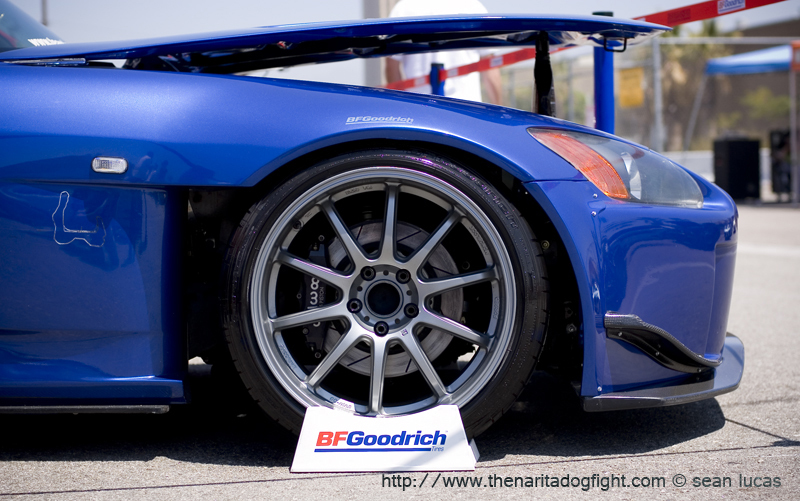 10″ rims lol. Haha ls1 in fd is a pretty common swap. Still wild though.